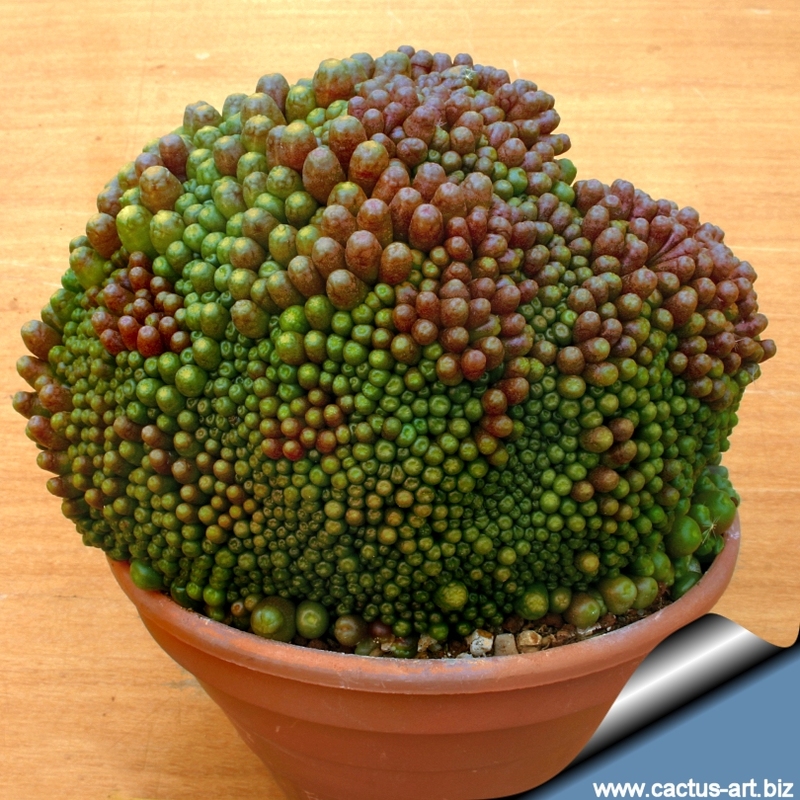 This is NOT Mammillaria bocasana cv. FRED but a very different and distinctive new monstrous form. 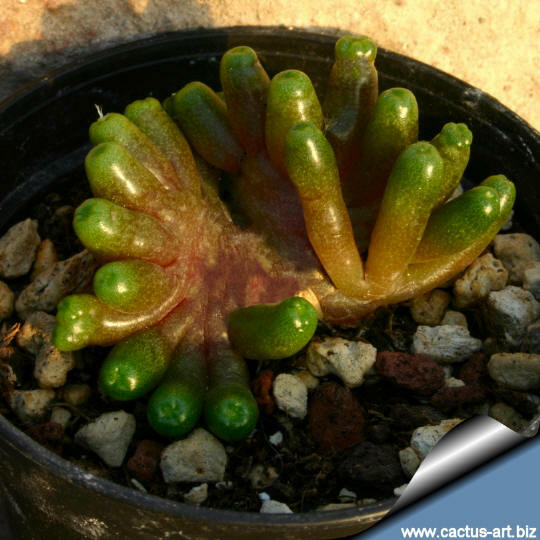 Description: This unusual spineless mutant forms large low clusters of of very small ( 3-9 mm wide) soft rubbery clear green heads and crested stems and the plant looks more like a strange marine creature than a cactus. Rarely a spine or a hair. It shows different crested and monstrose shapes. 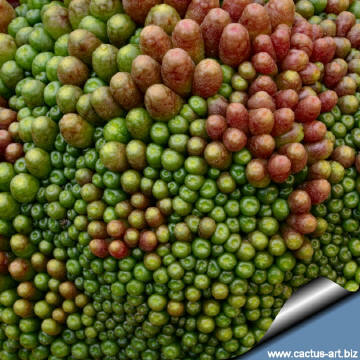 Cultivation: Mammillaria bocasana "mostruosa" grows well on its own roots. Keep well ventilated as it is prone to root rot. Protect from frosts and freezes. Hates the sun. Photo of conspecific taxa, varieties, forms and cultivars of Mammillaria bocasana.